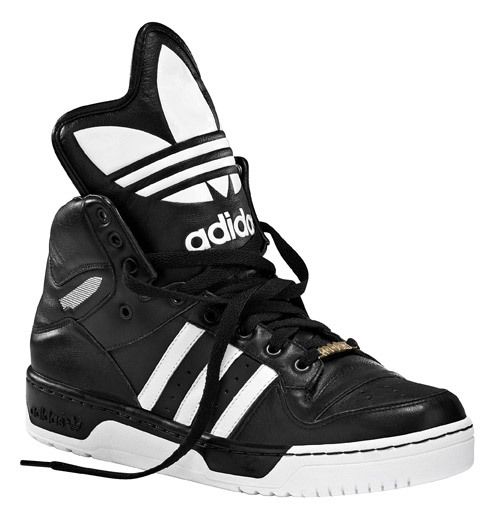 Good news for those of you who found Jeremy Scott&apos;s &apos;JS Logo" adidas high-tops too weird, these black/white Conductors just became available on the three stripes&apos; website. The sneakers are essentially the same style as JScott&apos;s edition, without the over-the-top trefoil tongue, and the downtown fashionista hype behind them. Full size runs are available HERE for $120 a pair. Copped.